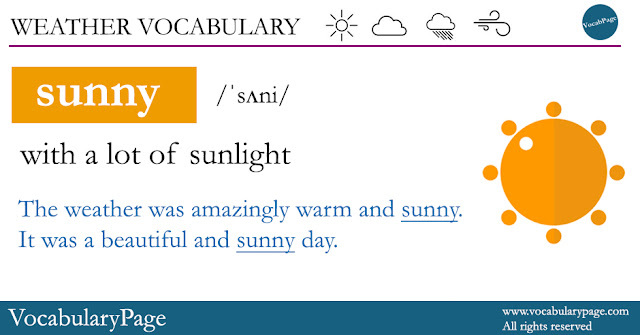 In this post, we're going to learn the adjective sunny. The weather was amazingly warm and sunny. It was a beautiful and sunny day.